As you can see. 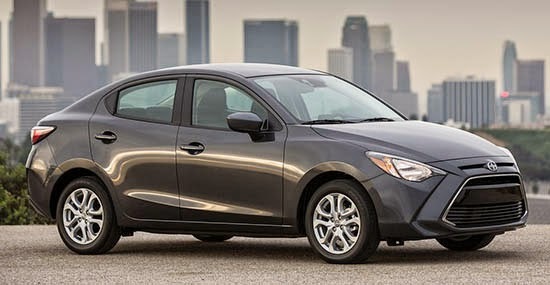 This is just a Mazda2 sedan with the usual disproportionate giant Toyota mouth crafted to it. So it basically ruins the rest of the design. The bottom pic (red car) is the Mazda version. 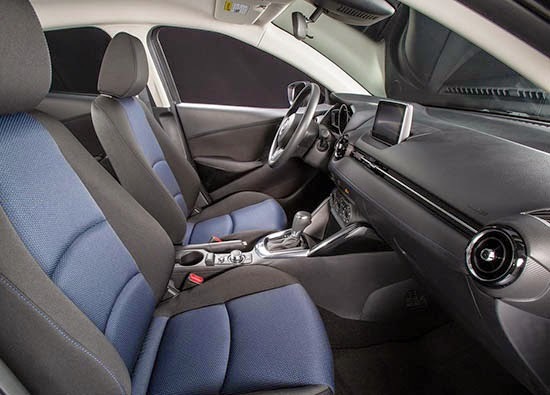 So you can also see that Toyota spent zero money modifying the interior. No price yet. But they have mentioned "in the $16 000 range". Wow!!! So this would actually be MORE than the Mazda2. And just about $1000 less than the Mazda3 sedan. A larger and better car. I hear the violins playing at Scion. Not liking the choices in car maker collaborations. GM rebadging a Nissan NV (when surely there was an Opel van they could have brought to America). Toyota surely perfectly capable of making their own B-segment sedan to use as a Scion instead of taking on a Mazda (which is like Ford rebadging a Dodge). Nissan using Mercedes 4-cylinders in Infinitis, as if their own were absolutely no good. And wasn't Nissan supposed to replaced the Titan truck with a Ram? What's next, BMW rebadging Camrys? All that being said, though I don't think Scion should sell this kind of sedan, I actually like the front end on this car. Toyota can't be serious with that catfish front end. Please tell me this is an April Fool's joke. 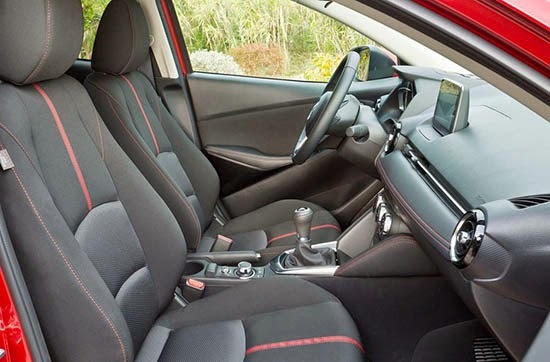 Other than the horrible looking "Scion-ized" front end, this is clearly a Mazda design inside and out. I would rather see Mazda sell it here in the U.S. than see it whored out to Toyota's failing Scion brand. I think it's time for Toyota to put an end to the failed Scion experiment.